Aishwarya Rai, Abhishek Bachchan and Ranbir Kapoor were the special guests at the screening of 102 Not Out, starring Amitabh Bachchan and Rishi Kapoor. 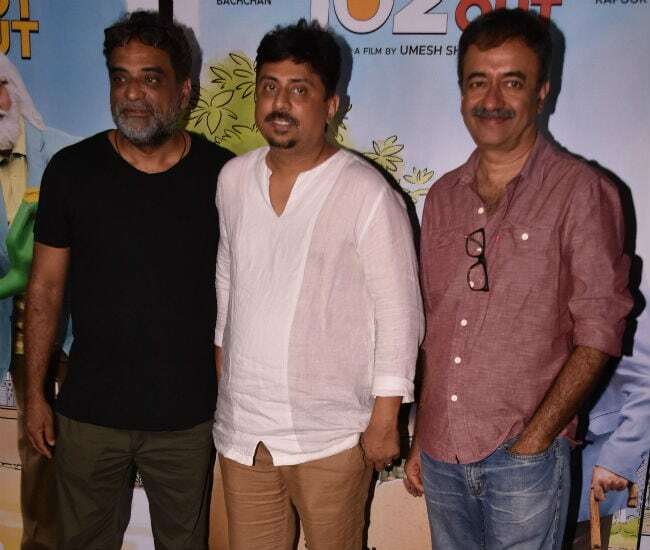 A special screening of the film was hosted last evening, which was also attended by Abhishek's naani Indira Bhaduri and other celebs like Kunal Kapoor, Sikander Kher, Rajkumar Hirani, Vidhu Vinod Chopra and others. Both Aishwarya and Abhishek were casually dressed for the evening. 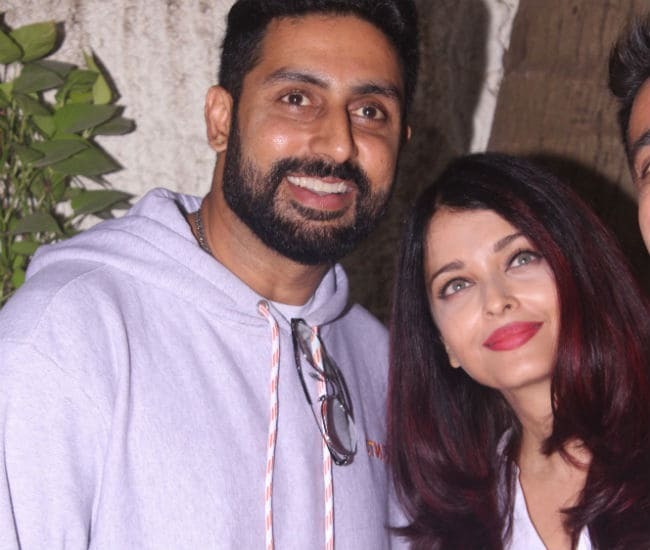 Aishwarya wore a white plain kurta with black jeggings while Abhishek was spotted in light purple pullover and grey trouser. 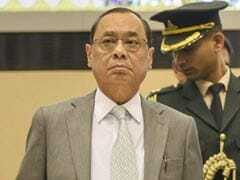 The couple navigated Ms Bhaduri till the car. (We missed looking at Amitabh Bachchan and his other family members pictures). Aishwarya and Abhishek photographed with Indira Bhaduri. The couple greeted a guest before leaving the venue. Such a nice picture, Aishwarya and Abhishek. 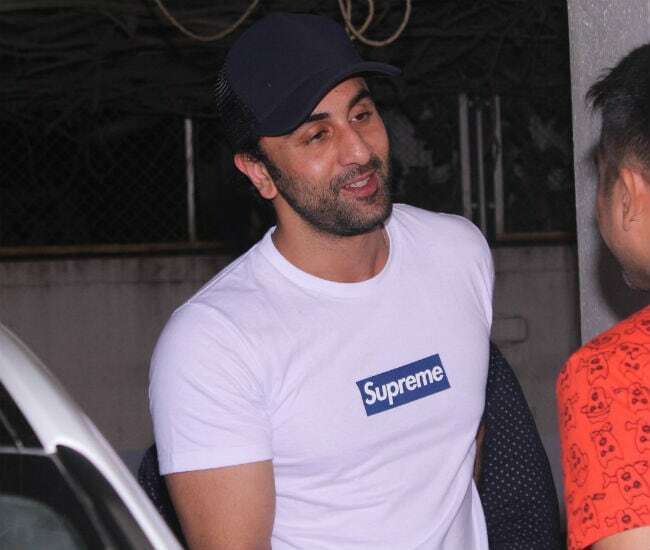 Ranbir Kapoor was pictured with a guest. He is currently awaiting the release of Sanju, a film on Sanjay Dutt. Sanju is directed by Rajkumar Hirani. 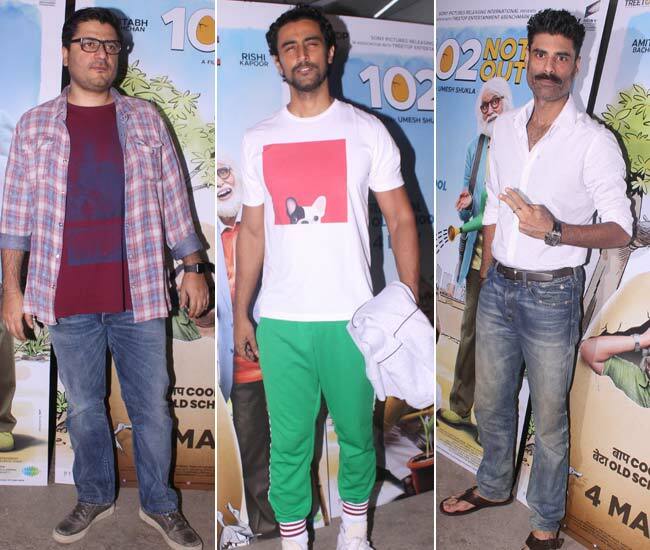 Here are the other guests who attended 102 Not Out screening. Last week, another screening of the film was held. 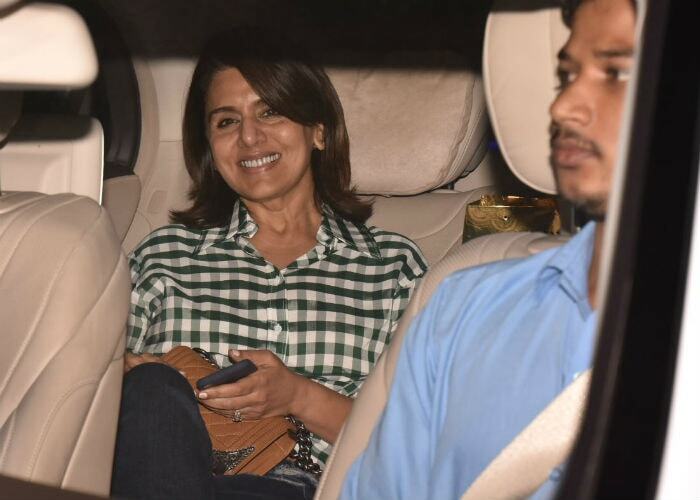 Veteran actors like Rekha and Prem Chopra attended the screening, along with members of the Kapoor family - Rishi Kapoor's wife Neetu Kapoor, his mother Krishna Raj Kapoor and aunt Neila Devi. 102 Not Out is directed by Umesh Shukla and is based on a Gujarati play written by Saumya Joshi. The film tracks the story of a 102-year-old father, played by Amitabh Bachchan while Rishi Kapoor, 75 (in the film), plays his son. 102 Not Out releases this Friday.